Alyson Abel, PhD is an Assistant Professor in the School of Speech, Language & Hearing Sciences. She uses behavioral and neurophysiological (EEG) methods to examine word learning in typical and atypical children and adults. Specifically, Dr. Abel’s studies verb learning, as well as interactions between word learning and other linguistic domains in typically developing children and children with specific language impairment (SLI). Dr. Abel received her clinical training in Speech-Language Pathology from Vanderbilt University and her PhD from the interdisciplinary Child Language Doctoral Program at the University of Kansas. She completed a postdoctoral fellowship at the Callier Center for Communication Disorders at the University of Texas at Dallas. 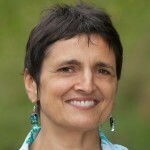 Dr. Ksenija Marinkovic is an Associate Professor of Psychology at SDSU, Adjunct Associate Professor of Radiology at UCSD, and the Director of the Spatio-Temporal Brain Imaging Laboratory. Dr. Marinkovic is a cognitive neurophysiologist with extensive experience in multimodal functional brain imaging including magneto- and electroencephalography (MEG/EEG), functional and structural MRI, and psychophysiological measures of autonomic functions. Broadly, she is interested in spatio-temporal (i.e. “where and when”) characteristics of distributed neural circuits underlying cognitive and affective functions such as decision making, inhibitory control, language, and emotion perception. Of particular interest are alcohol-related impairments of self-regulatory functions which may contribute to drinking as a function of family history and neurotransmitter genetic markers. The synergistic approach based on complementary imaging methods is well-suited for obtaining highly precise insight into on-line dynamics of these processes, with implications for individualized prevention strategies and pharmacogenetics. Dr. Marinkovic’s research has been supported by NIH since 2002. 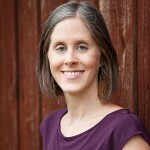 Jillian Lee Wiggins, Ph.D. is a developmental psychologist who received her Ph.D. from University of Michigan in 2013. At the University of Michigan, Dr. Wiggins’ research focused on identifying the brain and genetic mechanisms of socio-emotional functioning in youth with autism spectrum disorder as well as typically developing youth. To do this, she used neuroscience tools (functional MRI, functional connectivity, genotyping) to link brain activation patterns in response to emotional faces to genetic variation in children and adolescents with and without autism. After completing her PhD, Dr. Wiggins joined the Emotion and Development Branch at the National Institute of Mental Health/National Institutes of Health (NIMH/NIH) as a post-doctoral fellow. At the NIH, Dr. Wiggins’ work examined brain mechanisms of processing socio-emotional stimuli (i.e., faces) in youth with severe irritability and bipolar disorder. As faculty in the Area of Excellence in Clinical and Cognitive Neuroscience, Dr. Wiggins will continue brain and genetic research on autism and irritability as well as depression and anxiety in children and adolescents through her lab, the TEND Lab (Translational Emotion Neuroscience & Development Laboratory). Dr. Wiggins’ research at SDSU will particularly focus on using brain information to predict how well youths will respond to particular mental health treatments, and also identifying what changes in the brain as youths get better through treatments. Dr. Wiggins is happy to talk to interested students and faculty members about any of these research topics.